BRYN MAYR CLASSICAL REVIEW: Paula Fredriksen, When Christians Were Jews: The First Generation. New Haven, CT: Yale University Press, 2018. Pp. viii, 261. ISBN 9780300190519. $27.50. Reviewed by Andrew S. Jacobs, Scripps College (andrew@andrewjacobs.org). Paula Fredriksen’s new book spins a lucid and straightforward narrative of "the first generation" of an eschatological Jewish movement that would become, despite itself, Christianity. Fredriksen centers her narrative on the city of Jerusalem, the site of the Temple of the God of Israel, where Jesus’s mission culminated, his life ended, and the movement in his name developed numerically and theologically after his death. Transformed in and by the city of David, Jesus’s followers went forth to gather in all the people of Israel; encountering god-fearing pagans in the Jewish synagogues, they began to expand their target zone while waiting for the imminent return of Jesus and the end of the world. Paul, at first alarmed by the sociologically disruptive separation of pagans from their gods, attempted to discipline (or "persecute") these Jewish Jesus-followers; then, altered by his own experience of Jesus, he became the most influential theorist of this Jewish eschatological movement. For earlier reviews of the book, see here. VARIANT READINGS: Newsreel Footage of Codex Sinaiticus from 1933. With background and characteristically insightful commentary from Brent Nongbri, including information on the debate about the rebinding of the codex in the 1930s. By the way, Codex Sinaiticus is not a fake. PALEO-FORENSIC SPECULATION: Why Alexander the Great May Have Been Declared Dead Prematurely (It's Pretty Gruesome) (Owen Jarus, Live Science). Alexander the Great may have been killed by Guillain-Barré syndrome, a rare neurological condition in which a person's own immune system attacks them, says one medical researchers [sic]. Could be. We'll never know unless someday we recover his body. Ancient Judaism took an interest in Alexander the Great, in the Bible and elsewhere. So I like to keep track of news about him. For past posts see here and links. THE AWOL BLOG: ምምሃረ፡ልሳነ፡ግዕዝ - MEMHĀRA LESĀNA GE'EZ: RESOURCES FOR LEARNING GE'EZ-- THE CLASSICAL LANGUAGE OF ETHIOPIA. Cross-file under Ethiopic Watch and News You Can Use. THIS WEEK'S DAF YOMI COLUMN BY ADAM KIRSCH IN TABLET: Womb Raider. In this week’s ‘Daf Yomi,’ Talmudic rabbis imagine a situation involving a weasel, a cow’s womb, a fetus, vomit, and a firstborn calf. Naturally. One of the things that can make Talmudic reasoning feel so foreign is that the rabbis take exactly the opposite approach [from “hard cases make bad law”]. They love hard cases; in fact, they will frequently invent hypothetical situations that are improbable and convoluted, precisely in order to test the outer limits of legal concepts. When people use the word “Talmudic” to describe reasoning that is overly complicated and detached from the real world, it is this kind of hypothetical argument that they have in mind. You really want to keep reading for this one. I have discussed another weasel-themed Talmudic (Mishnaic) passage here. Nathan and Topolski (eds. ), Is there a Judeo-Christian Tradition? Is there a Judeo-Christian Tradition? Includes articles on ancient Jewish-Christianity and the relationship between ancient Judaism and early Christianity. Tikkoun Sofrim is a joint French Israeli project aimed at making Medieval Hebrew manuscripts openly and freely available as texts.The project is combining automatic Handwritten Text-Recognition (HTR) and Crowdsourcing. In the first stage we analyse the manuscript layout and train Kraken, a deep learning engine for automatic reading. Kraken is transcribing quite well, with an error rate of less than 10% and often even less than 5% at the letter level. However this is not quite good enough. In order to further improve Kraken’s automatic reading and provide accurate editions of the texts, we need the human eye. The tool in this website is aimed at achieving this goal. It needs the human eye for now. APPREHENDED: Turkish police find 400-year-old Torah in Aydın province (Daily Sabah). The Turkish police are doing an impressive job of disrupting the work of antiquities smugglers. That said, most of what they are recovering seem to be fake artifacts. Still, that's good. It keeps the smugglers from duping people who might otherwise have wasted money on them. There is a photo at the top of this article which I infer to be of the seized "Torah." The article doesn't actually say. But assuming that it is, it does not look like a Torah manuscript to me. I am no expert on seventeenth-century Torah codices, but some things don't add up. The writing on the cover is in Hebrew letters. I see the word "fire," followed by "You are the King of the World/Eternity." There seem to be some other words, but it's hard to tell because there don't seem to be spaces between the words in the marginal writing. Some of the lettering does not readily add up into words. Moreover, the writing and layout are clumsy and do not look like the work of a professional scribe. There is no photo of the inner contents, but I can't imagine that there is a Torah inside. The menorah design on the cover is worth noting too. Menorahs are a favored decoration in the rash of recent fake manuscripts that have been turning up. It could be an early modern Hebrew book of some sort. But I think most likely it is another modern fake. I would have to see the contents of the codex to be able to say any more. The article mentions two "gold plated Torahs that were seized recently. I have commented on (at least) one of those stories here and here. And I have commented on the report of the seizure of a 1900-year-old Torah scroll here. None of these reports was credible. For other manuscripts and artifacts seized from smugglers by the Turkish authorities, both recently and in recent years, start here and follow the links. I have not seen a single case that seems to be a genuine ancient artifact. AND YOU KNOW WHAT THAT MEANS: AND TODAY WE CELEBRATE... THURSDAY, FEBRUARY 14 Saints Cyril and Methodius (Aleteia). Cyril and Methodius Day is actually celebrated on three different days in Eastern Europe. This is the first one for 2019. We celebrate Cyril and Methodius here at PaleoJudaica for their invention of the Slavonic alphabet, which let to the preservation of some fascinating Old Testament pseudepigrapha (etc.) in Old Church Slavonic which otherwise would mostly have been lost. And yes, I hope you all have a nice Valentine's Day too. SPOILER: NO. Is Codex Sinaiticus a Fake? New Evidence (Elijah Hixson, The ETC Blog). There's been so much debunking to do lately. NEWSWEEK HAS TAKEN UP THE STORY: WHO WAS APOLLONIUS? CONTROVERSIAL 'BIBLE CONSPIRACIES' DOCUMENTARY CLAIMS JESUS WAS REALLY GREEK PHILOSOPHER (Katherine Hignett). The headline is unfortunate. This "documentary" is not credible and no specialist is defending it. There is no controversy. But otherwise the article is good and I commend it to you. The interview with Prof. Sam Boyd of the University of Colorado, Boulder, gives an overview of why the claim of the film is wrong and what the actual interesting points of comparison between Apollonius and Jesus are. It is unfortunate that the film is spreading misinformation. But the positive side is that Apollonius of Tyana is getting some publicity. And the media, to give them due credit, are generally correcting the errors of the film. UPDATE: 4 ancient books depicting life of Jesus seized in Turkey's Denizli (The Daily Sabah). This is the article mentioned in yesterday's post, which I have only now been able to find. This article includes a larger version of the image of the four books. The cover of the second from the right has some Syriac writing on it, although it's too blurry for me to be sure what it says. The article also includes another photo of two pages in one of the books. They contain color images, mostly in gold leaf, and writing in the Greek alphabet. On the left is an image of an eagle on a pedestal, holding a cross. On the right, two people doing something. Is that a game board or a box between them? The writing, as far as I can make it out, is gibberish. I see no actual Greek words and many of the letter combinations look bizarre. The way to bet is that they are all fakes. But I would have to see more of the other three to be sure. I don't know what the last clause means. Perhaps it was translated badly from Arabic. UPDATE: Sorry, that should be Turkish. I must have been thinking of SANA instead of the Daily Sabah. JUNK HISTORY WATCH: Low-budget Amazon Prime documentary prompts explosion of interest in theory Jesus was a Greek man called Apollonius. ‘What about this person, Jesus? Was he real? Was he created? Was he an alien?’ film asks - to the general annoyance of theological experts (Tom Barnes, The Independent). I was going to ignore this story, but it seems to have gained some traction thanks to the recent coverage in Sputnik. Yes, it is annoying. This is not a theory. It is not even a hypothesis. It is a notion that has no basis in any kind of historical reality. The sources for Jesus are much earlier and better than those for Apollonius. I don't doubt that Apollonius was a real philosopher who lived in the first century, but our main source for him is a biography by Philostratus written in the third century. You can read the whole, long work in the Loeb Classical Library translation here and here (for free). There are some interesting similarities between Jesus and Apollonius as divine mediator figures, but they were quite different people and it takes willful obtuseness to suggest that they were the same person. I see that back in 1998 my class on Divine Mediator Figures in the Biblical World had a seminar on Apollonius. You can read a student summary of some of the issues we discussed here. It assumes introductory material posted here and the bibliography on Apollonius posted here and also the bibilography on exorcism and anthropology here. You can watch the trailer for the whole Bible Conspiracies "documentary" with the Independent article at the link. Apparently other themes include ancient aliens and Bible Code numerology. It's disappointing that Amazon Prime is promoting this drivel. UPDATE (14 February): More here. HERE WE GO AGAIN: 4 Ancient Assyrian Books Depicting Life of Jesus Seized in Turkey (Daily Sabah via AINA). There is a low quality photo of the covers of the four books. They have decorations in gold leaf and they look similar to other recent objects emerging in Turkey (here and here - as noted, the former is a fake). One of the four new books seems to have writing on it, but it's too small for me to read. My guess is that they are modern fakes or modern or early modern devotional objects. They do not look a thousand years old to me. But any definitive conclusions about them would require an art historian (I am not one) and/or better photos. In recent years many such objects have been seized from smugglers in Turkey. Mostly we hear nothing more about them, although in a few cases the information presented was enough for specialists working from the photos to figure out what they are. None have turned out to be ancient or of any great interest. For details, see here and follow the many links. I always like to underline my appreciation of the work of the Turkish police in disrupting smuggling networks. I only wish the media were as diligent about careful and cautious coverage of what is seized from the smugglers. UPDATE: I should also mention this post as potentially relevant: Hebrew forgeries from Arab countries. UPDATE (14 February): More here. At least one of the books is a fake. MARGINALIA REVIEW OF BOOKS: When Jesus Was Jewish. Larry W. Hurtado on Paula Fredriksen’s When Christians Were Jews. Professor Hurtado has also posted another review of this book on his blog. VARIANT READINGS: Scott Carroll’s Christian Manuscripts. Brent Nongbri continues his excavation of video presentations to establish the contents of the ancient manuscripts owned by the Green Collection, Scott Carroll, etc. In this one he infers Carroll's ownership of some manuscript fragments of Greek biblical (Old and New Testament) and Classical works. NUMISMATICS: Rains unearth rare Bar Kochba-era coin hailing ‘freedom of Israel.’ Nature and Parks Authority tour guide stumbles on 1,885-year-old find while on training hike in Lachish region (MICHAEL BACHNER and TOI Staff, Times of Israel). ANCIENT JEW REVIEW: Book Note | The Origins of Midrash (Yitz Landes). Paul D. Mandel,The Origins of Midrash: From Teaching to Text. Supplements to the Journal for the Study of Judaism 180. Leiden and Boston: Brill, 2017. And yet, Paul Mandel argues in his recent book, The Origins of Midrash: From Teaching to Text, that midrash was not always—indeed, not originally—interpretation, as such. Rather, for much of antiquity, including during the early rabbinic period, the Semitic root d.r.sh referred to teaching—textual or otherwise. Mandel thus overturns the consensus understanding that early uses of the root d.r.sh refer to textual interpretation, and that only later was the root expanded to encompass teaching more generally. ALIN SUCIU: Dumbarton Oaks/HMML Coptic and Syriac Summer School (July 7-August 2, 2019). Should be a good Summer School. I have linked often to Dr. Suciu's interesting blog posts on mostly Coptic matters. You may recall that Fr. Columba Stewart is one of Iraq's heroic Manuscripts Men. Cross-file under Coptic Watch and Syriac Watch. HYPERALLERGIC: The Clandestine Cultural Knowledge of Ancient Graffiti. Today we are used to thinking of graffiti as subversive or illegal, but ancient people didn’t necessarily see graffiti in this way at all (Michael Press). For the work of Karen Stern on ancient Jewish graffiti, mentioned in this essay, see here and links. BIBLE HISTORY DAILY: Seth in the Bible. Bible Review's Supporting Roles by Elie Wiesel. Incidentally, Seth is also a key character in the branch of Gnosticism known as Sethian Gnosticism. More on that here, here, here, and here. The notion that widows needed someone to take care of them rests on ideas about the legal and social status of women. Perhaps most important is the idea that widows could not possess their own property. A wife was dependent on her husband, and when he died, she went to live with her father’s household if he was alive, or to an adult son if she had one. Having a father or son was fortunate, because otherwise widows were entirely without resources. Widows were also legally subordinate to these male relatives. The above picture is largely false for the Mediterranean world of the first and second centuries. See Also: Women in the New Testament World (New York: Oxford University Press, 2018). In Targum Song of Songs and Late Jewish Literary Aramaic, Andrew W. Litke offers the first language analysis of Targum Song of Songs. The Targum utilizes grammatical and lexical features from different Aramaic dialects, as is the case with other Late Jewish Literary Aramaic (LJLA) texts. The study is laid out as a descriptive grammar and glossary, and in the analysis, each grammatical feature and lexical item is compared with the pre-modern Aramaic dialects and other exemplars of LJLA. By clearly laying out the linguistic character of this Targum in this manner, Litke is able to provide added clarity to our understanding of LJLA more broadly. Litke also provides a new transcription and translation of the Paris Héb. 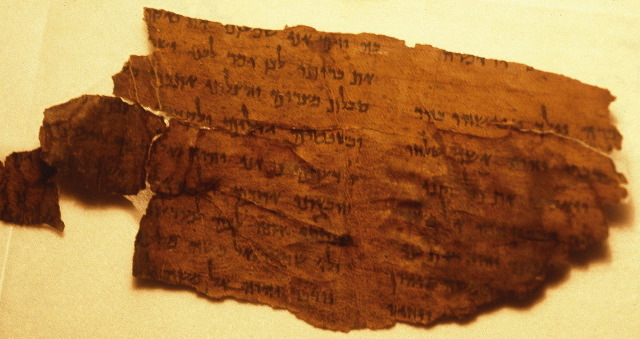 110 manuscript. In Paramus, the Syriac Orthodox Church still uses Aramaic during services. “It’s our identity,” said Saliba Kassis, a priest at Paramus' Mor Aphrem Center. Although the use of Aramaic is decreasing, Kassis said, thousands of people in the area still speak it. Aramaic originated in the Middle East millennia ago, and is similar to Hebrew. Because it was spoken in first century Palestine, you can hear the actor Jim Caviezel use it in 2004′s The Passion of the Christ. I mentioned Paramus in this context some years ago. Teaneck is another center for Syriac/Aramaic in New Jersey. CINEMA AND THEODICY: Jewish Horror. Judaism offers the same baroque supernatural possibilities that Christianity does. So why is it rarely a universal source for genre filmmakers? And what does it say about human evil? (Ed Simon, Tablet Magazine). This is a review of The Golem, but the subject matter ranges from the Babylonian Aramaic incantation bowls, to the film, to Kafka, to metaphysics and theology. TECHNOLOGY WATCH: Tiberias Stylistic Classifier for the Hebrew Bible (Drew Longacre, The OTTC Blog). The algorithms are getting more and more sophisticated.